Who else wants a training program that will help them get leaner, stronger and more athletic? In late 2010 and early 2011, I hated training. Something that had always been a release had become a burden. And the worst part was, I wasn’t making progress! Have you ever felt like there was something missing from your training programs? That they weren’t quite what you were looking for? Or that they were flat out ineffective? If so, let me tell you what I did to break out of my rut. I’d been pushing the weights hard and heavy for close to a decade. I’d hit some respectable numbers in the powerlifts, and I definitely held my own in the gym. All those years of grinding with the heavy iron had taken a toll. I wasn’t beat up by powerlifting standards, but I had little aches and pains in my hips, knees, shoulders and back that were annoying and kept me from performing at my best. Being in my mid-30’s, I wasn’t looking to get huge (although a leaner, more muscled and athletic physique sounded pretty sweet). And I hadn’t done a powerlifting meet in 5 years, so I wasn’t looking for super-human levels of strength (although improvements in my squat, bench and deadlift would always be welcome!). What I really wanted was to feel young again – to move and feel like an athlete. I created the Bulletproof Athlete training system because I wanted to look and feel athletic again. And that’s a huge part of the problem. Everyone is an athlete, and should have elements of athletic training in the programming. I love getting stronger, but strength is just one part of athleticism. Great athletes are strong, supple, mobile, explosive, and they can go for days on end. If you’ve always felt like the training programs out there left something to be desired! …I have something that will help! My name is Mike Robertson, and I want to talk about how I will help you develop a leaner, stronger and more athletic body. 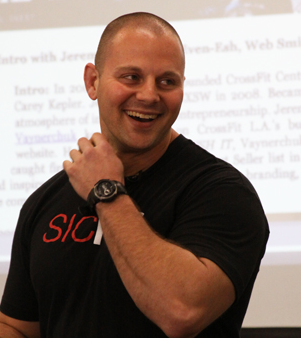 Being in the fitness industry for nearly 15 years now, I’ve seen virtually every program out there. Most of the over-promise and under-deliver, but that’s not even the worst part. Every single one of these programs is based on assumptions. Most programs assume that your body moves well. Most programs assume you have a solid training foundation. And most programs assume you are ready for high-level programming. Your body is no different than building a house. If you have a cracked foundation, it doesn’t matter how awesome that house looks from the outside! This is the problem with most training programs. They assume you have a solid training foundation, and then hope to build you up from there. And it just might work (for a while! ), but probably not for long, and definitely not forever. Giving clients and athletes a foundation is what I specialize in. By giving you a strong movement foundation, not only will you see improvements in your strength and athleticism, but you’ll be less likely to get injured as well! To get the body you’ve always wanted, you need to give the body what it needs first. The Bulletproof Athlete ebook is more than just a training program – it’s a complete training system. …and if you aren’t recovering between workouts, you’re not going to maximize your progress. That’s why the training program is just one component of the Bulletproof Athlete training system. When you pick up the PDF manual, you don’ just get a program, you get much, much more! 3 PROGRAMS FOR THE PRICE OF 1! When creating the program, I realized that every one of you is starting from a different point. So how could I create one program that covers all the bases? Quite simply – I couldn’t! Instead, I created three programs that you can choose from based on your goals, how many days per week you want to train, and even how much time you can dedicate to each session! With three different programs, you can find the one that is best suited for your unique needs. Every rep, of every set, of every exercise is ready and waiting for you here in the Bulletproof Athlete program. Quite simply, there’s nothing left to chance – all you have to do is show up and follow the program. That’s it! Most importantly, every aspect of your training is accounted for. That includes your mobility/flexibility training, power training, strength training, energy system/conditioning training, and even your recovery. I’ve done all the work – all you have to do is show up and train! 160+ VIDEOs IN THE EXERCISE DATABASE! How much better would your training be if I coached you on every single exercise? In the Bulletproof Athlete exercise database, we demonstrate every single exercise from two camera angles so you can see exactly how to perform every movement. Furthermore, I’ve voiced over the exact cues I use when training my clients and athletes to make sure you’re doing things with perfect form! Training is only one part of the equation. How you fuel your body (nutrition) and recover from your workouts are the other two. The Bulletproof Athlete nutrition and recovery challenges ensure you’re not only able to train to the best of your ability, but that you recover from those training sessions as well. If your nutrition and recovery aren’t dialed in, this could be even more valuable to you than the training program! Everyone wants to know if Bulletproof Athlete is a good fit for them. I created this short video to give you a behind-the-scenes look at what you get when you purchase Bulletproof Athlete. And since the audio from my video clips didn’t agree with the Screencast, so here are two sample video clips for you to review. Remember, there are over 100 coaching videos, plus 16 nutrition and recovery challenge videos – one for each week! I hate talking about myself, but if you’re new here let me give you a quick recap of the past 15 years. I’ve personally worked with clients and athletes of all shapes and sizes. While people are quick to remember the professional or Olympic-caliber athletes, some of the most notable in my mind are the so-called “average” clients that I’ve worked with over the years. Watching these people achieve the lean, strong and athletic body they’ve always wanted is the most gratifying part of my professional life. My gym, Indianapolis Fitness and Sports Training (IFAST, for short), is world-renowned for its success. It’s twice been named one of Men’s Health magazines Top 10 Gyms in America. In 2013, we were named a Fitness Award Winner by Women’s Health magazine as well. During my time in the fitness industry, I’ve created more than a dozen products for trainers, coaches and fitness enthusiasts. I’ve written (or been featured) in mainstream magazines such as Men’s Health, Men’s Fitness, Women’s Health, Muscle & Fitness, and Outside magazine. The bottom line is, I walk the walk and talk the talk. I’m not some internet expert who’s never trained anyone. And I’ve pushed my own body to the limit over the years as well. Here is what a few of the biggest names in our industry have to say about me and my work. Mike Robertson could very well be the Clark Kent of the fitness industry. Quiet. Unassuming. Almost goes unnoticed. But underneath that quiet demeanor is a world class coach armed with almost superhuman skills and knowledge on almost every aspect of fitness training. 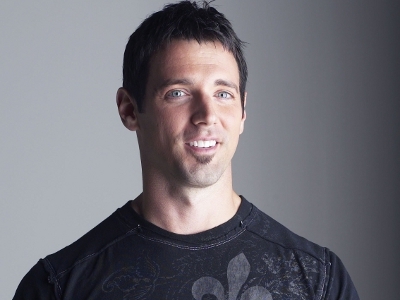 Mike Robertson has established himself as one of the top strength coaches and corrective exercise specialists in the world. His knowledge of the musculo-skeletal system is staggering. Yet even more impressive is his ability to improve the movement and function of the human body. From improving knee pain and shoulder weakness to lifting bigger weights, Mike always has a fresh and new way of looking at the body. I consider myself fortunate to call Mike Robertson a great friend and professional colleague. He has a tremendous ability to make the complex seem simple, and is an effective coach and outstanding teacher. I consider him a great resource, and I'd recommend that you seek out his knowledge and unique skill set, too. Mike Robertson is one of the few coaches in my "inner-circle" that I trust & respect with training advice. 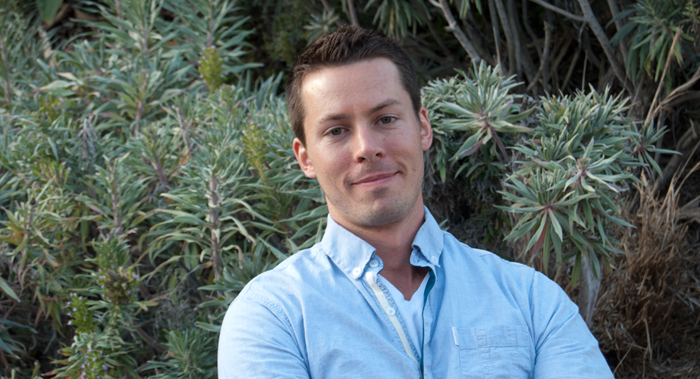 His knowledge & understanding of the human body is on par with the best in the industry. I would recommend anything with Mike's name on it to anyone looking to get stronger, healthier or perform better. 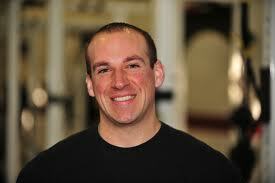 I had the pleasure of meeting Mike almost a decade ago at Dr. John Berardi's G-Flux Seminar in Chicago. I had read a few of Mike's articles on the internet and was impressed by his knowledge as well as his ability to articulate it. But, it wasn't until I had the chance to sit down and talk shop with him that I was able to really appreciate his passion for educating himself as well as others. 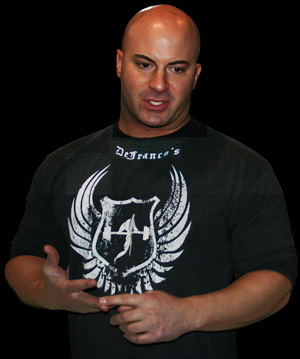 I feel that Mike will continue to be a leader in the fitness industry for a very long time. I've been in this business for a long time and it's not every day that some one comes along and makes me sit up and take notice. When I first started reading Mike Robertson's stuff a few years back I was seriously impressed. 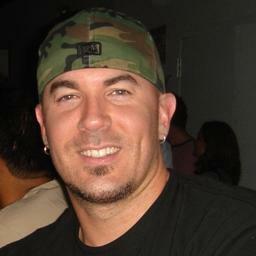 Mike has an incredible knowledge of the human body and tons of practical experience to go along with it. I honestly wouldn't hesitate for a second to recommend anything with Mike's name on it to those looking to improve their strength and conditioning knowledge. On top of that, and more importantly to me, Mike is a first class, stand up human being. For someone who knows as much as he does he sure keeps it quiet! Any time I have a question or need help, Mike is always available and giving. Best of all, he's ego free! For someone who knows as much as he does he sure keeps it quiet! Bottom line is I want to thank Mike for all his guidance and I can say with absolute confidence that any athlete or Coach who can receive training from him should jump on the opportunity ASAP! The issue with the programs out there today is that they aren’t holistic. They don’t address the body as a whole. Hours upon hours of sitting have robbed us of our natural mobility and flexibility. For all of the reasons above, I had to create the Bulletproof Athlete. I wanted to create a program that not only addressed every single aspect of human performance, but take it a step further. The best coaches and trainers in the world realize that training is just one component of physical preparation. The other two pillars of physical development are proper nutrition, and adequate recovery. Beyond having every single workout planned for you for the next 16-weeks, the Bulletproof Athlete also gives you a weekly nutrition and recovery challenge to make sure you’re getting the most out of your training program. After all, if your nutrition and recovery aren’t dialed in, there’s no way you’re maximizing your performance in the gym. How many programs on the market today can say they will give you a training program, and nutrition and recovery goals for the next 16-weeks? I can tell you how many – ZERO. At the risk of sounding arrogant, I feel as though I’m the perfect person to create this product. I understand how the body must work in harmony to reduce the likelihood of injury, while simultaneously sky rocketing performance. People have asked me to release a product like this for years. A simple, easy-to-use program that outlines what to do every step of the way. If you want to get leaner, stronger and more athletic, look no further than the Bulletproof Athlete program. But I’m sure you’ve heard this before. It seems everyone in the fitness industry has a legion of minions to talk about how awesome they are. But talking about yourself is cheap, which is why I want to show you…. Before I launched the final product, I ran a Beta Test to determine just how well the program would work – and the results were quite impressive. 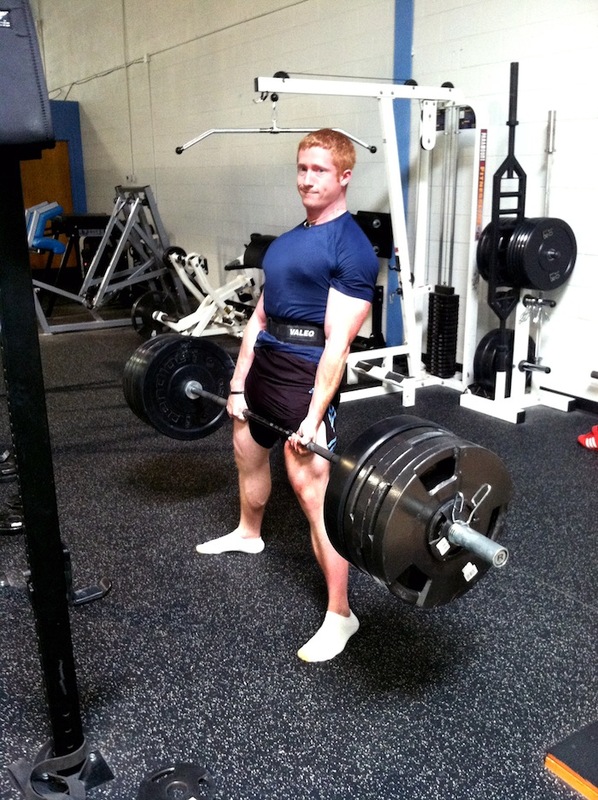 A whopping 46-pound average increase in the deadlift! These people are not only leaner, stronger and more athletic, but they’re moving and feeling better as well! Here’s feedback from a handful of my Bulletproof Athlete Beta group. My body composition changed pretty dramatically and I have been able to maintain it since the end of the program. Since finishing the program I have continued to see great increases in my big lifts and just recently got an all time PR on my deadlift, 515 pounds! Thank you Mike Robertson for making a fantastic product! When I started this program I had nagging hip and left shoulder discomfort, none of which were serious or prevented me from training, but which certainly a nuisance and made getting to the gym and warming up, as well as certain exercises, kind of a hassle. These have been bothering my for well over a year, and while most of the time the symptoms were benign, I could never shake them. They always seemed to come back. I'm happy to report that, after completing the Bulletproof Athlete, both my shoulder pain and hip pain are completely gone, and have been for at least 2 months. After finishing the program, my squats and deadlifts "feel" a lot better, and this makes me happy. Before the program, when I squatted I always felt like I was getting pushed forward with my weight on my toes, and when the weights got heavy (for me), my knees would cave. Now I really feel like can sit back and squat deep AND keep my knees out, and that is a good feeling. Deadlifts have improved even more. Heavy deadlifts used to really pull me forward, and now I feel like I can keep my weight back and chest up significantly more. When back squats and traditional deadlifts were reintroduced, it was an epiphany - "oh, this is what it's supposed to feel like." Thank you Mike for making a fantastic product! My back felt better than I could ever remember and I was the strongest that I'd ever been! Let me start by telling you about myself. I just turned 37 years old and was really feeling my age. I had never been very athletic and didn't start "working out" until I was 30. I had been suffering from a herniated disc for nearly 15 years and had always been limited with workouts. Deadlifts were out of the question. An un-weighted bar was enough to put me down for weeks on end. I never saw good results from other programs such as Crossfit and P90X because I didn't have good base strength, especially with my core. I decided to use the Monster protocol, and the workouts were great. I liked how they transitioned from one phase to the next with the exercises building on one another. I followed the program precisely and never missed a workout. My back felt better than I could ever remember and I was the strongest that I'd ever been! My name is Anna and I am 34 years old. I had a microdiscectomy of L4-5 in 2009 that left me with left lower extremity weakness and moderate drop foot. Workouts had become a struggle with the thought of "is this going to hurt my back" always in the back of my mind. I chose to do the monster workout to really put it to the test to see how my back would hold up. I really liked how each phase built on each other! I could tell my back and core were getting more stable as the workout progressed! My left leg strength and balance was improving also, it was amazing! I was so excited to be able to workout and not have back pain! I'll have to admit when we got to phase 4 I was nervous about the deadlifts but once again no back pain! As far as the diet went I had been doing Paleo for a couple years but you helped me get my portions under control. All the little things like drinking more water, stretching at night, and reading a book were all things that I needed to do more of so thank you for that! This program was hard especially toward the end but I liked the challenge. It was a lot of fun and I learned a lot of new exercises. Thanks Mike! - Anna Glomski Added 55 pounds on squat, 35 on bench and 90 on deadlift! I went into this program having a long history of shoulder/hip/lower-back issues, in particular a year prior to starting I had a fairly traumatic injury to my shoulder that set my upper body training back a lot. After this program these issues have all but disappeared and my shoulders feel better than they have in years. It had been a long time since I was able to bench press, deadlift and squat pain-free, and this program has pretty much solved this. By the end of Phase 4 I ended up being able to crank out four full sets of three reps on bench press at the same weight that was my one-rep maximum at the beginning without any shoulder issues whatsoever. (There are no shoulder problems at my new 1RM either!). I came close to this on deadlift as well. The main limiting factor with these before BPA was a tendency for my sacro-iliac joint/s to slip but with all the stability training this is no longer a problem even at my new 1RM. I gained a pretty good amount of weight (~20lbs, mostly in my glutes/legs apparently) but because of all the agility/reactive training I ended up feeling lighter on my feet at the end than I did at the beginning. A lot of people have commented that I look bigger (without me asking them). I saw significant increases in my level of strength but more than anything I feel like a really solid stability/mobility foundation has been laid for further progress as I continue with my training from here on out. Having just turned 30 I'm easily in the best shape of my life. I'm bigger, stronger and faster than I've ever been. I look and feel better than I have in years, I sleep like a champ and my diet is more dialed in than ever before. I'm so stoked about the progress I've made with this program, I can't wait to continue training and come back to it again and again in future training cycles. Mike, I can't thank you enough for taking the time to put together such a great program! Previous to this program I had built a moderate amount of strength and conditioning over five years of training quite consistently. During this program I made some amazing gains in my strength and conditioning, but the best results I had were in how I feel. In the past I have had many issues: shoulder impingements, back pain, hip pain, ankle issues. Now I am almost 100% pain free; I cannot recall ever feeling better than this. Mike covered all the bases with this product. The program alone is quite great, but the addition of nutrition and exercise videos makes for a stellar package. - Samuel Spinelli Added 25 pounds to his squat, 30 pounds to his bench press, and OVER 100 pounds on his deadlift! I'll definitely be revisiting this program to further improve my strength! I really enjoyed this program for the progression of the exercises. Although I had been doing the big lifts for over a year now, it was helpful to regress and retrain the mind and body so that it can do them (back squat, bench press, deadlift) properly. I'm always about improving my performance in the gym and this program helped me do that. Thanks Mike for creating this program! I'll definitely be revisiting this program to further improve my strength! You have a litany of choices when you purchase a training program, and I respect that. However, I feel this product is second to none. I’ve spared no expense, and when you review the ebook and the accompanying videos, I think you’ll see this product is worth every dime. Buy the product and try it out for the next 120-days risk-free. Yes, that’s right – 120 days. And if you can’t say one (or all) of those things? Return the product and I’ll give you every cent of your money back. Because I would rather give you your money back, then keep your money knowing you aren’t 100% satisfied. Mike this is TOO EXPENSIVE! After all, you can go out and buy a standard training book at Barnes and Noble or Amazon for 20 bucks. Why spend $97 on the Bulletproof Athlete? First and foremost, every single aspect of your training program has been laid out for you here. Day by day, workout by workout, you know exactly what to do every time you walk in the gym. Second, the video database will show you exactly how to perform every single exercise. One of the biggest issues with a book is that it’s hard to describe how to properly execute the lifts. With the Bulletproof Athlete, I will be right there with you, coaching you through each and every exercise to make sure you’re squeezing the most out of every single movement. Third, if you were to work with me in person, you’d quickly realize how affordable this program really is. I charge $399 per month to work with me in an online setting, and I have a waiting list of clients waiting for me to train them. 16-weeks of training with Mike online = $1,596!!! I’m not downplaying the value of working with me personally, but as you can see, the Bulletproof Athlete is an amazing value offered at a fraction of my standard rates. Last but not least (and at the risk of sounding arrogant), this is probably the best fitness info product out there today. It’s going to do everything I’ve promised – you will look, move and feel better as a result. You’ll get leaner, stronger and more athletic. This is a complete training system that guarantees results and will cost you a fraction of what it would to work with me live and in-person. Use the 4-phase program I created for StreamFIT to master the pistol, the 1-arm push-up, and the chin-up! In this ten-minute video, Tony breaks down the deadlift. Not only will he give you helpful coaching cues, but touch on some of the most common technique mistakes as well. Moreover, no one deadlift is created equal, and Tony also discusses the intricacies behind which deadlift variation would be most beneficial given one’s training history, experience, and body type. Unleashing the power of Olympic lifts can help your athletes make explosive gains. Becoming bulletproof with the Olympic lifts means you must learn to avoid the mistakes that harm your gains and diminish your returns. Wil Fleming shares his top 20 mistakes that you must avoid to become bulletproof using the Olympic lifts. How can you tell if a workout will actually work before you invest the time in doing it? Sean Hyson, training director for leading fitness magazines Men’s Fitness and Muscle&Fitness, tells you what the best routines have in common. 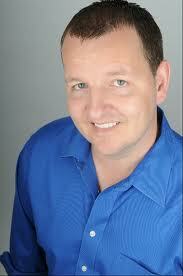 Steve Long is a movement specialist and has created thousands of programs for high level clientele. Training primitive patterns is a great way to build a solid base and improve overall movement function.Â Additionally, every athlete needs active recovery workouts to mix in with more intense workouts. Steve’s program is great for any athlete to do during recovery phases or off days to improve movement quality. This is one of his go to programs for low impact training days and active recovery phases. You’re only as good as your body’s ability to recover. In this video, Molly and Jim discuss the 5 main aspects of looking, feeling, and performing well over the long-haul: Training, nutrition, sleep, stress management, and supplements. With the Bulletproof Athlete, you’ve got the training part down for sure. In these videos they’ll discuss their favorite tips for good nutrition, quality sleep, proper stress management, and basic supplementation to have you recovering as quickly as possible, so you can train HARD in the gym. Cumulative Injury Disorder is one of the most common causes of aches and pains that tons of people experience today, both acute and chronic. Many people go on day after day thinking that they just have to smile and bear it when in actuality, there is a reason for their aches as well as a way to fight it. Learn a little bit about what CID is and what you can do to fight it along the lines of exercise and manual therapy. The psoas and quadratus lumborum are two very important muscles when it comes to stability and control of the spine, ribs and pelvis. When dysfunction is present, these are 2 muscles that often need release to help get rid of pain and restore movement. While self-massage is becoming more and more commonplace, these are 2 major players that are challenging to get at on your own and are often not talked about or taught when it comes to most trainers, therapists and coaches. Learn a couple of helpful methods that can be used to get into these muscles in the comfort of your own home or gym. Kelly Baggett is a strength Coach with over 20 yrs of experience in training athletes to become more powerful and explosive. In this informative guide, Kelly will show you Â how to build conditioning and drop fat without interfering with the acquisition of power, speed, and explosiveness. Both weekend warriors and athletes often run into problems when they have to be in “game shape” for a particular sport, or want to incorporate various forms of cardiovascular conditioning to drop fat. Most conditioning protocols make athletes slower and less explosive. This guide shows you how to incorporate conditioning in a way that you get the best of both worlds. In the Ultimate Guide to Foam Rolling, Smitty demonstrates his absolute best soft-tissue massage, deep breathing, and relaxation strategies for relieving tension across the body. Consistently incorporating these advanced strategies will improve your ability to get into better positions when training, create more bracing and stability, improve posture, and reinforce proper breathing mechanics. The Bulletproof Athlete ebook and videos are guaranteed to get you leaner, stronger and more athletic than ever before. Don’t wait – pick up your copy today and prepare to be BULLETPROOF! I felt re-energized and re-focused, so I decided to enter my first powerlifting meet in 5 years. I hit a new personal record in the squat in the 181-pound weight class, and I hit a lifetime goal of a 3x bodyweight deadlift with a new personal record, 545 pounds (my best ever in competition). Not only was I leaner and stronger than I’d ever been in my life, but I looked and felt like an athlete. Leaner, Stronger AND More Athletic! if you want weekly goals to help you improve your nutrition and recovery……. You need to order the Bulletproof Athlete today! 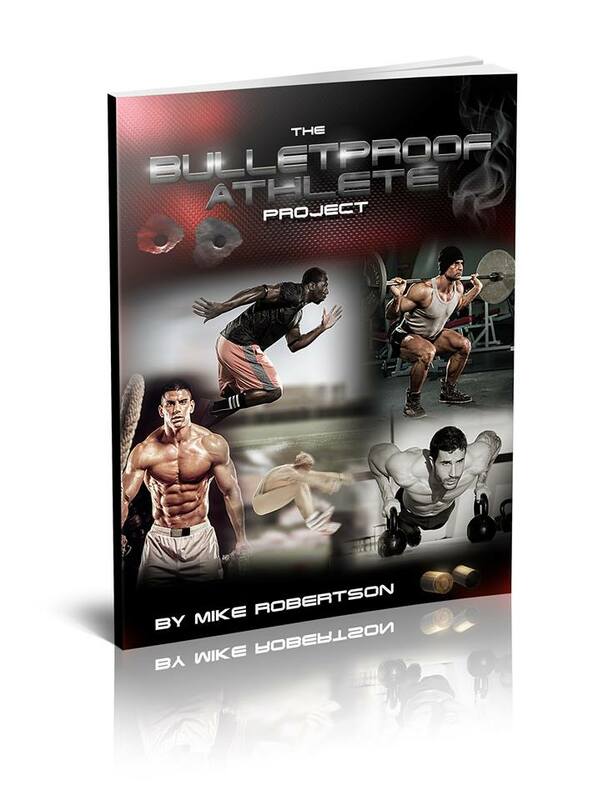 Bulletproof Athlete is an ebook in PDF format. Once payment is confirmed, you will be immediately directed to the download page. All of the videos are housed on a private site, and will also be made available immediately upon purchase.